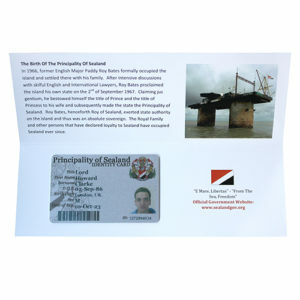 Located in international waters, on the military fortress of Roughs Tower, Sealand is the smallest country in the world. 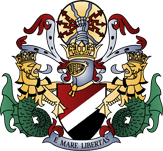 The country‘s national motto is E Mare, Libertas (From the Sea, Freedom), reflecting its enduring struggle for liberty through the years. 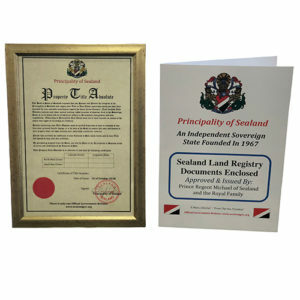 Sealand has been an independent sovereign State since 1967. 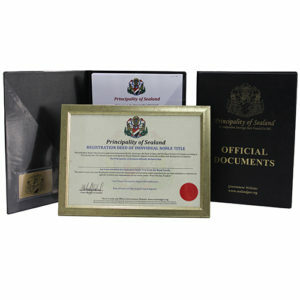 The Bates family governs the small State as hereditary royal rulers, each member with his, or her, own royal title. 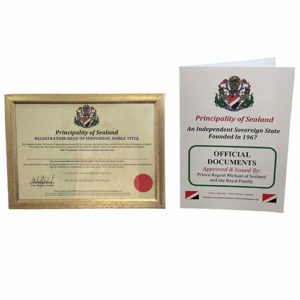 Sealand upholds its own constitution, composed of a preamble and seven articles. Upon the declaration of independence, the founding Bates family raised the Sealand flag, pledging freedom and justice to all that lived under it. 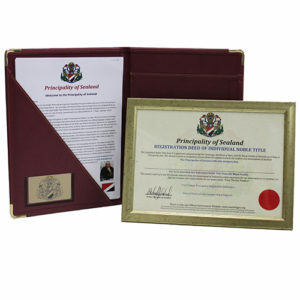 Following this, Sealand issued passports to its nationals, minted official currency and commissioned its own stamps. 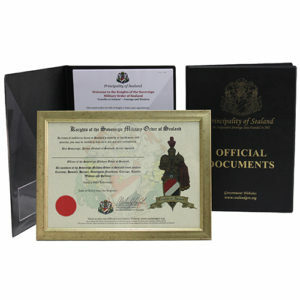 Support Sealand and become a Lord, Lady, Baron or Baroness.